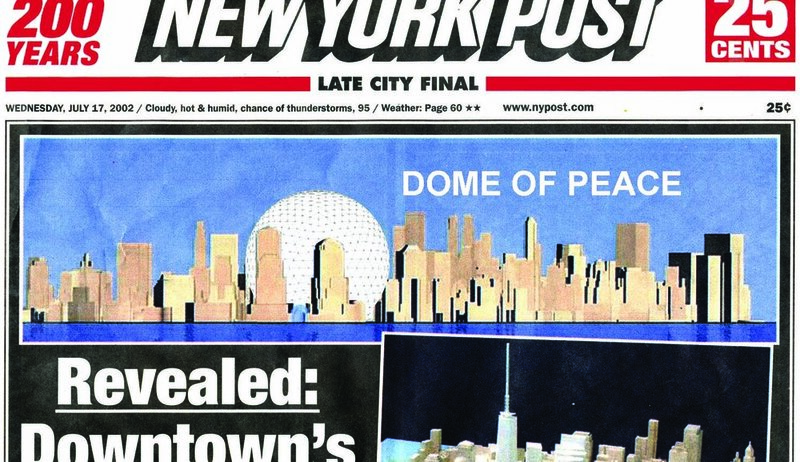 The World Peace Dome is one of a number of proposals made for Ground Zero, not far from the location of the studio. Although convinced that building on the site is inappropriate, we proposed this dome to assert that the skyline could be marked with something other than a triumphalist, phallomorphic, tower and that its program did not have to simply be commercial office space. Here, the suggestion is for a United Nations annex and a center for global NGO’s surrounding a contemplative central garden.